This spacious, family friendly, scenic campsite is nestled beside a stunning white sand beach. 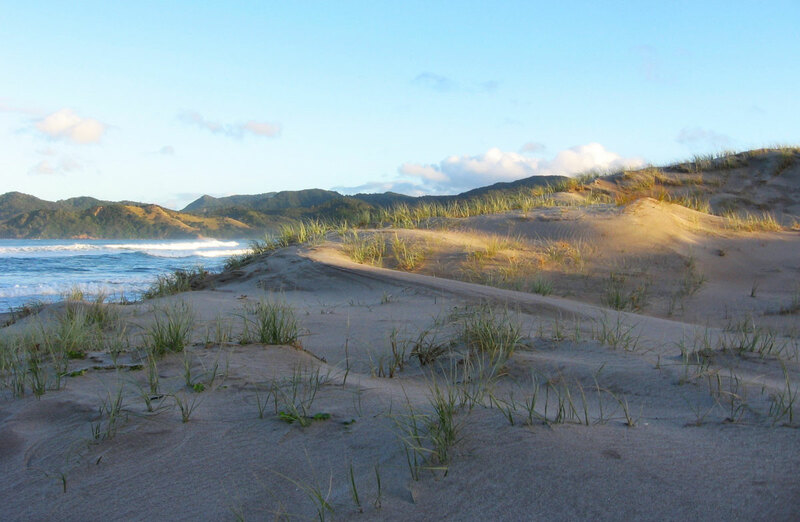 The untouched Waikawau Bay is a fabulous place to relax on the beach, fish, swim, kayak or explore. 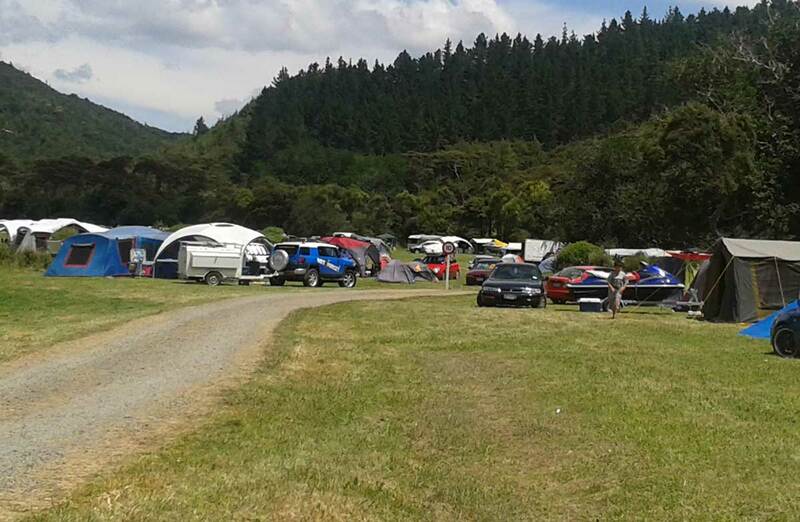 Waikawau Bay is the largest DOC campsite. It is very popular over the summer months and Easter with families spanning generations, returning year after year. The campsite is fantastic for families, with around one third of all campers being children. It is at the gateway to the Northern Coromandel and in close proximity to four other DOC campsites. It is nestled beside a stunning white sand surf beach, with two estuaries and a significant wetland. The campsite backs onto native bush which can be explored from the Matamataharakeke Walkway. Waikawau Bay is an expansive campground with a capacity of 1,250 people. Number of powered sites - 21 in zone 4 (maximum 5 per site). These can only be used by visitors with caravans and campervans that have a current Electrical Warrant of Fitness and who want power. No other forms of camping are permitted in zone 4. The campsite is divided into two areas. Zones 1, 2, 3 and 4 make up the main area of the campsite; they are located on the beach side of the road and within close proximity to the camp office. Zones 5, 6 and 7, known as Pump Paddock, are located across the road from the main camp area and backs on to native bush. Pump Paddock is only open from mid December until end of January. Campers may select the zone they wish to camp, however specific sites are not allocated and cannot be booked. Groups who wish to camp together should book into the same zone. Sites are selected by campers on a first come first served basis. The camp office is staffed during the peak summer season, generally from 9 am to 11 am and from 2 pm to 5 pm. Eftpos is available at the camp office. During the off-peak season the office hours vary and may close for some periods. If arriving without an online booking, ensure you have the correct cash amount in case the self-registration is operating. An on-site store operates during the peak summer season that sells basic items such as ice, milk, bread, other basic food items, cold drinks, ice creams and bait. There are no cooking facilities provided at this campsite. 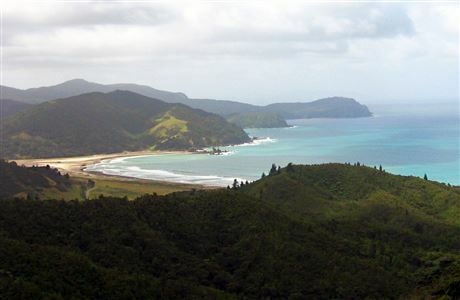 42 km north of Coromandel. From Coromandel take the Colville Road for 22 km to Whangaahei Junction, turn right into Port Charles Road, then right into Waikawau Beach Road and follow for 5 km to the camp. Access: Port Charles Road is unsealed, narrow and winding in places. Take care especially during the holiday period. New Zealand Motor Caravan Association (NZMCA) passes are accepted, however pass holders will need to pay the power charge (adult: $3 per night, child: $1 per night). Book and pay the power charge at the Waikawau Camp Office or the Kauaeranga Visitor Centre. A minimum charge of $26 per non powered site and $32 per powered site applies between 27 December to 5 January inclusive. Register at the camp office on arrival. When the camp office is closed, register and pay your fees using the self- registration system. You will need to carry the correct amount of cash with you for the self-registration system. If you do not register at the office or self-register you may be charged a 100% penalty fee. A minimum stay of 2 nights applies between 28 December and 2 January inclusive. 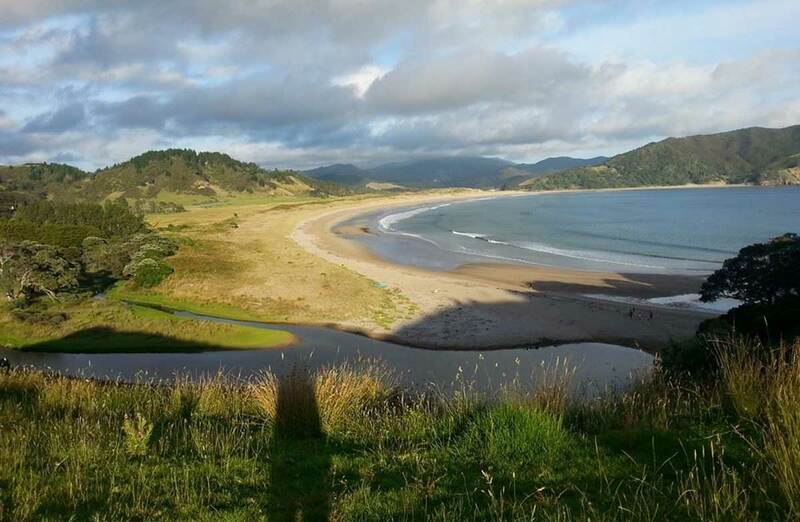 Waikawau Bay is a great place to swim, fish, walk, surf, kayak or just relax. New Zealand dotterel and variable oystercatcher breed north of the campsite. The Matamataharakeke Walk begins at the campsite, with the Coromandel Walkway a further 20 km north. The next nearest grocery stores and petrol stations are in Colville or Coromandel township. Mobile phone coverage is poor and shouldn't be relied on. A public pay phone is available in the day use area within the camp. Weather: The Coromandel has quickly changing weather conditions. Your safety is your responsibility – make sure you are prepared for any conditions. Check the weather before you go. Vehicle access: campground gates are closed from 8 pm to 7:30 am. Arrival/departure times: check-in from 2–7 pm – register with the office on arrival. Leave campsites before 11 am - you're welcome to continue using the camp facilities for the rest of the day but must leave your site and move your vehicle. Parking: one vehicle per site - space is limited. Boats storage/access: boats over 5 metres in the campground are discouraged - space is limited. Water access from the campground isn't guaranteed. Water is from a stream and should be boiled or treated before drinking. No dogs or other domestic animals (cats, birds etc.). No devices with a naked flame including califonts. Only gas cookers, fridge/freezers and lanterns may be used. No unsociable behaviour and excessive noise. No chainsaws, compressors, generators and amplifiers. Generators may be used at Campground Manager discretion. Make sure you also read the campground rules. All motorhomes using power outlets in pod 4 must have a current Electrical Warrant of Fitness (WOF), to be presented to Camp Office staff. If you don't have this, you won't be issued with a key to the power supply and no refunds will be given. Powered sites in pod 4 can be accessed from 2 pm on arrival day and must be vacated by 11 am on departure day. On arrival, collect the key to access power from the camp office. If you're arriving outside the office hours of 8:30 am to 4:00 pm, contact the staff during office hours on +64 7 866 1106 to arrange key collection. Take all rubbish and waste water with you on departure. 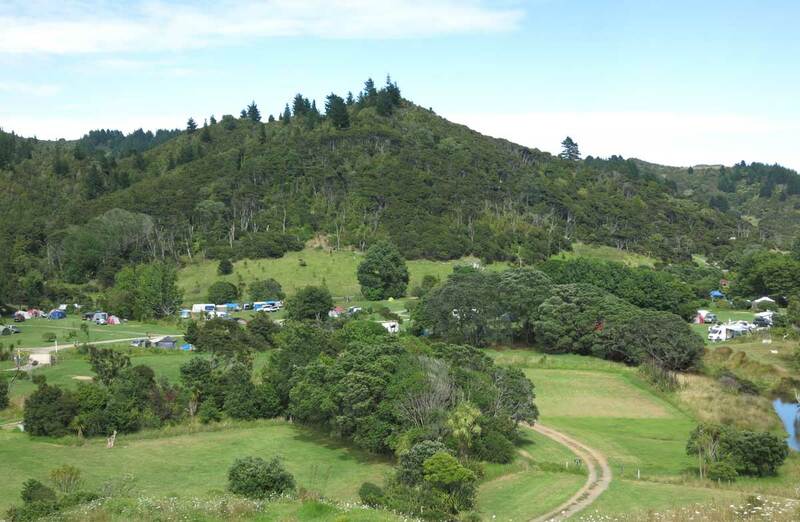 The nearest public dump station is Patukerikeri Reserve, Wharf Road, Coromandel, 38 km from the campsite. 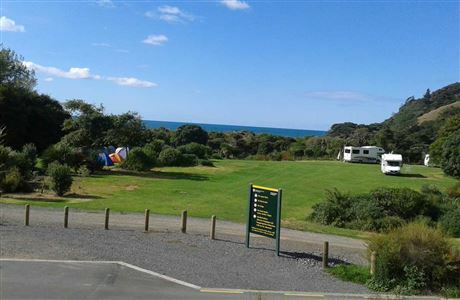 A comfortable ranch style lodge with sunny veranda and lawn area overlooking the beautiful Waikawau Bay beach and sand dunes. 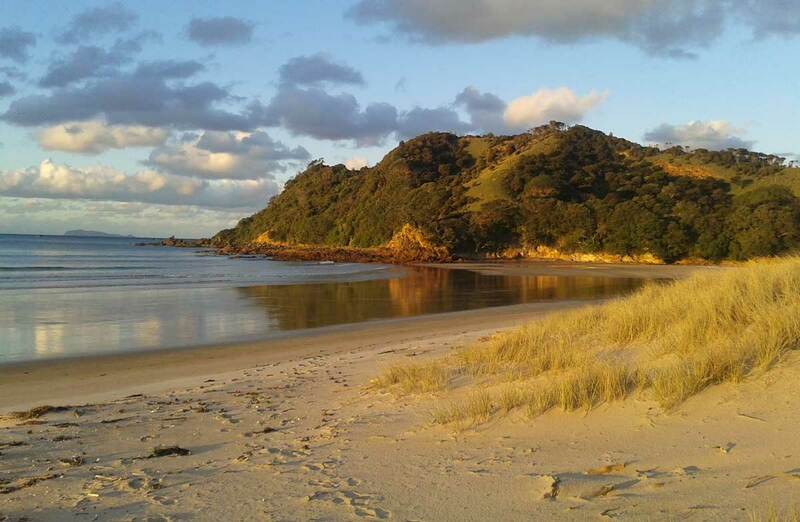 Enjoy long sandy beaches and pōhutukawa-clad coastline in the Northern Coromandel, at the top of the Coromandel Peninsula.